For the last two months I have devoted a lot of my time to developing a game app for your phone, tablet, computer that will appeal to teens (so pretty much anyone) and teach mountain safety survival skills. Avalanche! has been an amazing project and will be presented on October 3rd at the International Snow Science Workshop in Banf Canada. 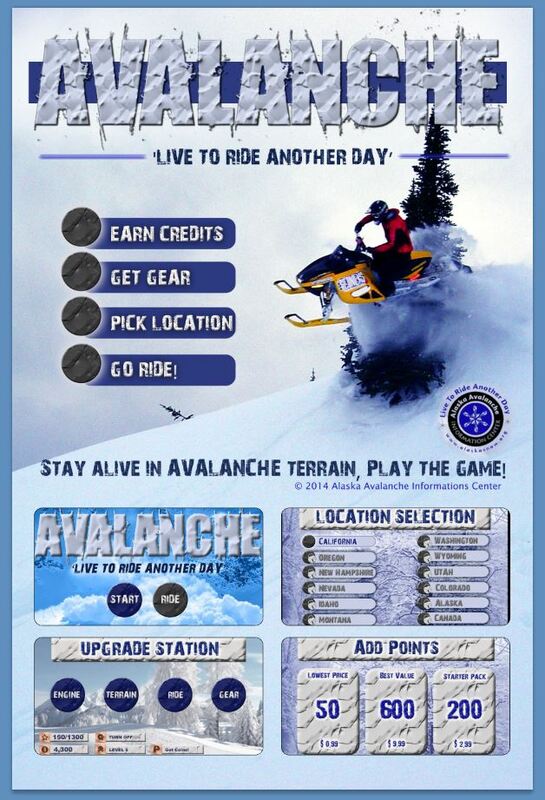 I’m hopeful that this game will provide part of the solution to sustaining avalanche forecast and education centers in the US and Alaska. The plant in this photograph is actually Water Hemlock which is highly poisonous to humans. It contains a toxin called cicutoxin which causes central nervous system stimulation effects including seizures following ingestion. Be sure you are absolutely positive of the identification of a plant before ever harvesting or using. I recently had an article published in Alaska Coast Magazine on the power of Alaska’s Plants. I was horrified when I got a call from the plant specialist I had interviewed, Shelley Plumb, that one of the photos in the article had been mislabeled and the mistake could be deadly. 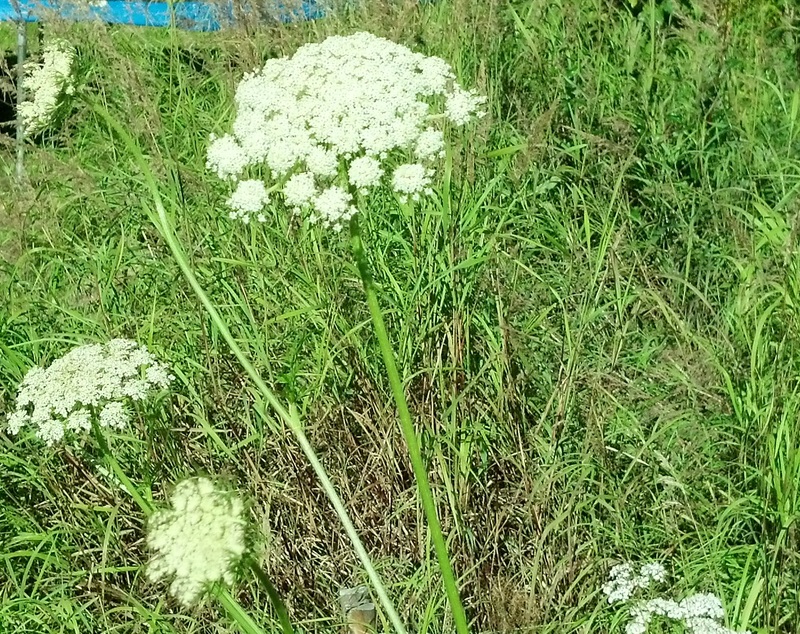 I accidentally submitted a photo of Water Hemlock with the information for Yarrow. I have submitted a correction to Alaska Coast which they are working to make on the website now. They will also be printing a correction in the October issue of the magazine. I feel terrible about this mistake and please ask everyone to be ABSOLUTELY positive about the identity of a plant before ever using it for anything. Shelley shared a story about two young boys at the Alaska State Fair that had been playing with a poisonous plant that ultimately resulted in the death of one of the children. She warned that really knowing and understanding plants definitely can be a life or death matter. This is a yarrow plant. This plant is edible and a natural blood coagulator, so if you’re bleeding to death it can save your life. • For infection, this cooling plant slows inflammation. It’s also a blood purifier and reduces fever. Make a tea or crush to make a poultice. Are you preparing for your summer time adventures? Don’t forget to prepare your body for healthy, happy, pain free adventures. Too often we think about getting our boats and bikes and four-wheeler’s tuned up but what about our bodies? A few years ago, I started my spring with gardening chores and ended up in a hospital unable to walk because I dislocated my knee. I realize now, years later, that my mistake was in not getting my body prepared and keeping my muscles and joints tuned up. This year is different. Since having stem cell treatment on my hip in December, I’ve been slowly working on recovery. In April I joined a Cross Fit class at Denali Gymnastics. I’m amazed at the strength and agility I’m gaining with every workout. And the best part is, every exercise and every workout can be customized for my skill and ability. My personal trainer, Lynn Reynolds, is more concerned about proper technique than reps. He’s focused on helping people use the gym to replicate actions from real life so instead of just working the muscles, you’re strengthening and conditioning the body to bend and flex and lift in specific motions that protect the body. It’s making this year’s gardening chores come easy. Zip line??!!! We never had a playground like this when I was a child. So much fun! In addition to the cross fit, I’m using the environment around me for fitness. I live across the street from an elementary school and have been visiting the playground after school and on weekends to continue with the training I’ve learned in the gym. It’s fun and easy to do and adds to the variety of my workouts. On two days a week I focus on stretching and yoga. That covers six days of the week and makes it so I never get bored. Beyond my workouts, I’m focused on nutrition. I discovered when I eat raw, natural foods my joints feel better. When I eat processed foods high in things like corn, sugar or high-fructose corn syrup, I ache and hurt like every joint is swollen. That means I’m reading labels a lot more these days and I’m sadly horrified that these three ingredients seem to be in lots of things at the store. The final piece of my healing fitness routine involves massage therapy. I roll on a foam roller to work out the muscles and visit a specialist at least once or twice a month which keeps things flowing and relaxed. A great pain reliever even though the massage is anything but. The best part is after it’s over I always feel better. But I’ve also learned I need to drink lots of water following a massage to flush out all the toxins released through the process. All in all, as I age, staying focused on these things is letting me still live like a kid. I now know for certain that recess is critical. I’m convinced, when you stop playing you stop living. Before you head out for your adventure have you asked yourself the question, are you ready if something goes wrong?